Help cover the defence costs of Jeremy Hammond, who disclosed information about Stratfor spying on human rights activists. Jeremy has completed his transfer! This post contains information about his new prison, including his new address. An update on Jeremy and his current situation as of 17 December 2018. Jeremy is facing a very serious disciplinary charge, time in solitary confinement, and possible a possible prison transfer. Here is what we know. 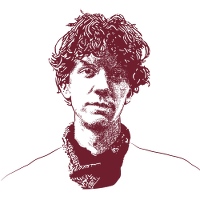 Jeremy Hammond is a member of the hacktivist network Anonymous and a gifted computer programer whose case has attracted the attention of activists, civil libertarians and those concerned about the rights of whistleblowers. He is currently spending a decade in prison for allegedly disclosing information about the private intelligence firm Strategic Forecasting, Inc. (Stratfor), revealing that they had been spying on human rights defenders at the behest of corporations and governments. WikiLeaks published these files in partnership with 29 media organisations worldwide as the Global Intelligence Files. After being threatened with 40 years to life in prison for his brave actions and suffering numerous injustices at the hands of the legal system, Jeremy accepted a non-cooperating plea deal to one count of violating the arcane and draconian Computer Fraud and Abuse Act. Despite lodging nearly 265 letters of support calling for leniency, Jeremy was sentenced to the maximum allowed under his plea agreement and is currently serving his ten-year sentence at a medium-security federal prison in Manchester, Kentucky. Since his arrest in March of 2012, Jeremy has been frequently cut off from his friends and family, and punished with extensive stays in solitary confinement – treatment normally reserved for the most egregious offences. Jeremy did nothing for personal gain and everything in hope of making the world a better place. Scheduled for release 22 February 2020, Jeremy needs our support now more than ever.